From the perspective that all images are volatile. 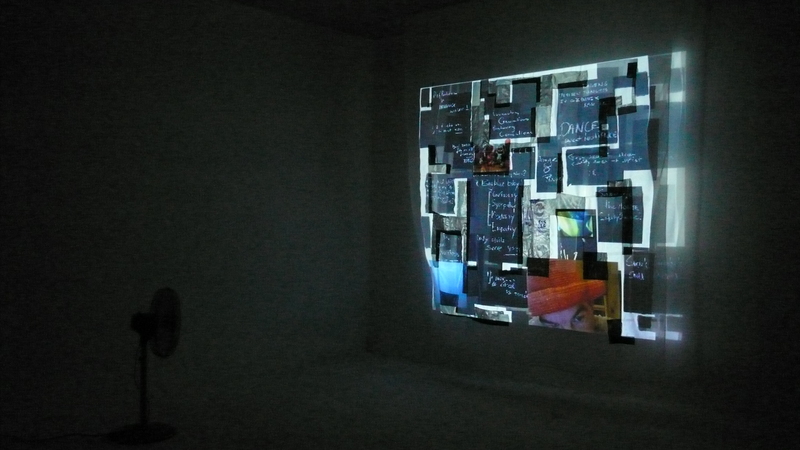 The project resulted in a site specific video installation. 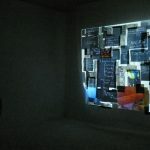 For several years I wrote various thoughts and ideas on the painting titled Volatile and made pictures of the results. In the meantime I had different orders to make videos for different places. The pictures and the videos are combined into one film. This film projected on two partially transparant slightly moving curtain-like screens hanging in front of each-other. The installation should be exposed in a suitable room.